The International Journal for Crime, Justice and Social Democracy is an open access, blind peer reviewed journal that seeks to publish critical research about common challenges confronting criminal justice systems around the world. Peer review essays of a number of books will now be accepted for publication subject to peer review. These essays will be 6-8000 words in length. They need to be innovative, original and add to the existing body of knowledge of relevance to the journal themes. All articles submitted to the journal will undergo a blind peer review by at least two reviewers. Reviews will normally take around 4-6 weeks. Reviewers will be recruited from the International Editorial Board, and other suitably qualified academics based on the subject matter of received submissions. Special Editions also require blind peer reviewing. Decisions of the Chief Editors are final and not subject to review or appeal. 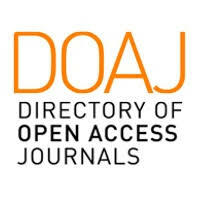 The Journal is published 4 times a year: 1 March; 1 June; 1 September; and 1 December. There may be early release of articles published at any time. This journal provides immediate and free to download open access to its content on the principle that making research freely available to the public supports a greater global exchange of knowledge. Papers must be submitted with the understanding that they have not been published elsewhere (except in the form of an abstract or as part of a published lecture or thesis) and are not currently under consideration by another journal. The submitting author is responsible for ensuring that the article's publication has been approved by all the other co-authors. It is also the authors’ responsibility to ensure that the articles emanating from a particular institution are submitted with the approval of the necessary institution. Further correspondence and galley proofs will be sent to the corresponding author(s) before publication unless otherwise indicated. It is a condition for submission of a paper that the authors permit editing of the paper for readability. All articles submitted will also be checked for plagiarism. Authors retain copyright under the Creative Commons Licence for articles published in the journal. We reserve the right to grant licences to third parties which own/manage reputable public access databases to include online access to the journal and its articles. Special Editions also require blind peer reviewing and are subject to the same editorial policy. Authors or Special Edition editors who do not comply with agreed time-lines for production schedules may have the publication of their papers delayed. All production decisions are made by the Chief Editors in consultation with the Journal Manager. Decisions of the Chief Editors are final and not subject to review or appeal. This journal subscribes to the Code of Conduct for best practice and ethical journal editing and publication (see COPE http://publicationethics.org/resources/guidelines) Recognising our ethical and other responsibilities, we take all possible measures against malpractice and we are committed to ensuring that reprint, advertising or other commercial revenue or political gain has no impact or influence on editorial decisions. We publish papers based only on their quality, importance, originality, and relevance to our remit. We evaluate manuscripts for their intellectual content without regard to race, gender, sexual orientation, religious belief, citizenship, ethnic origin, or political philosophy of the authors. We are committed to ensuring ethics in publication and high quality of scholarship. Conformance to standards of ethical behaviour is therefore expected of all parties involved: Authors, Editors, Reviewers, and the Publisher. Authors: By submitting a manuscript, the author(s) warrant that the manuscript is their own, original work and that it has neither been published previously nor is currently being considered for publication elsewhere. Submitting the same manuscript concurrently to more than one journal is unacceptable. Authors should cite publications that have been influential in determining the nature of the reported work. Plagiarism in all its forms constitutes unethical conduct and is unacceptable. The corresponding author should ensure that there is a full consensus of all co-authors in approving the final version of the paper and its submission for publication. Editors: The editors of this journal will evaluate manuscripts exclusively on the basis of their academic merit and fit with the journal's themes. The editors are responsible for deciding which submitted papers should be published. The editor and any editorial staff must maintain confidentiality and not disclose any information about a submitted manuscript to anyone other than the corresponding author, reviewers, potential reviewers, other editorial advisers, and the publisher. The editors will not use unpublished information in their own research without the express written consent of the author. Editors should take reasonable responsive measures when ethical complaints have been presented concerning a submitted manuscript or published paper. Reviewers: This journal uses a blind peer review process which assists in making editorial decisions. The review process usually takes 4-6 weeks. Any manuscripts received for review must be treated as confidential documents. Privileged information or ideas obtained through peer review must be kept confidential and not used for personal advantage. Unpublished materials disclosed in a submitted manuscript must not be used by reviewer without the express written consent of the author. Reviews should be conducted objectively, and observations should be formulated clearly with supporting arguments. Reviewers should not consider manuscripts in which they have conflicts of interest resulting from competitive, collaborative, or other relationships or connections with any of the authors, companies, or institutions connected to the papers. Peer reviewers’ identities are protected as are authors. All articles submitted to the journal will be subject to checks for plagiarism. Apart from peer review, the journal uses the software iThenitcate to check for possible plagiarism. Plagiarism in all its forms constitutes unethical conduct and is unacceptable. The corresponding author should ensure that there is a full consensus of all co-authors in approving the final version of the paper and its submission for publication.